We have a custom-made 1930's style dance shoes that will be sequined to form the ruby slippers for Judy Garland. We always craft ruby slippers in pristine condition for her. The shape and size with long heels is identical to the original ruby slippers worn by Judy Garland as Dorothy, and this is considered the best pair used in The Wizard of Oz. 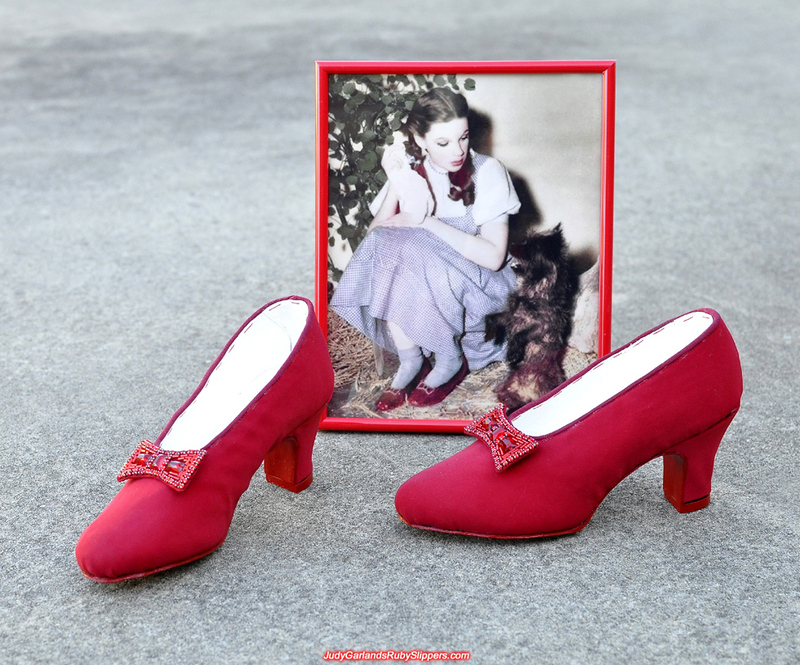 A beautiful pair of hand-sewn bows have already been made, so that's out of the way. 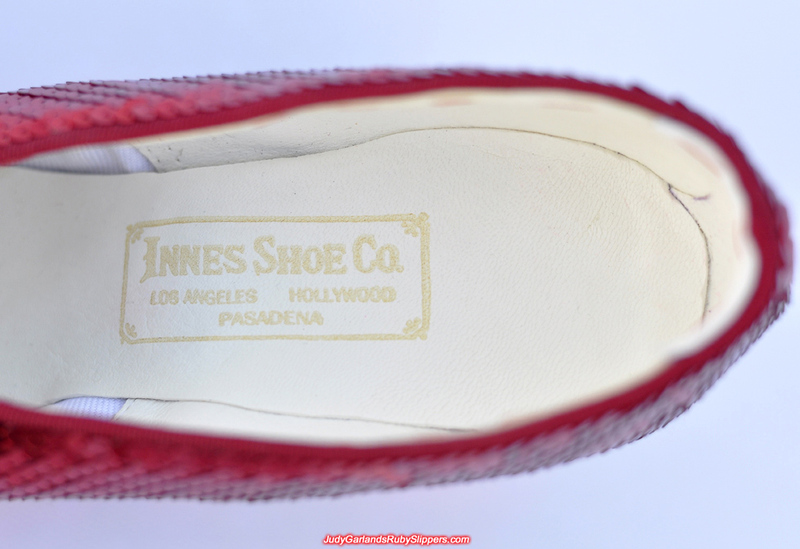 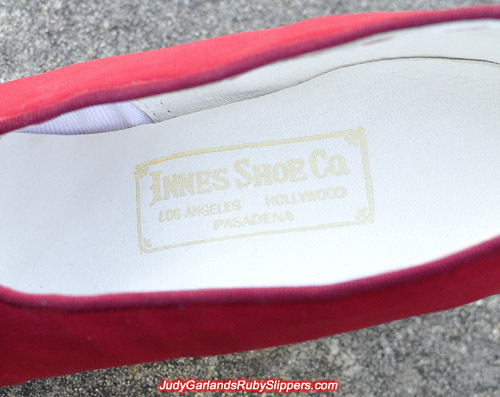 There's a gold stamp that resides on the insole of the right shoe reading "Innes Shoe Co., Los Angeles, Hollywood, Pasadena" and "#7 Judy Garland" is written with a black fountain pen in both shoes as a final touch. 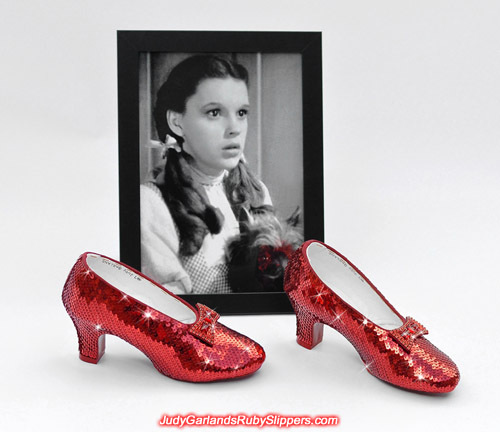 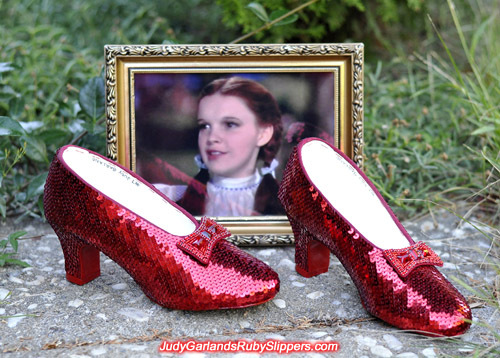 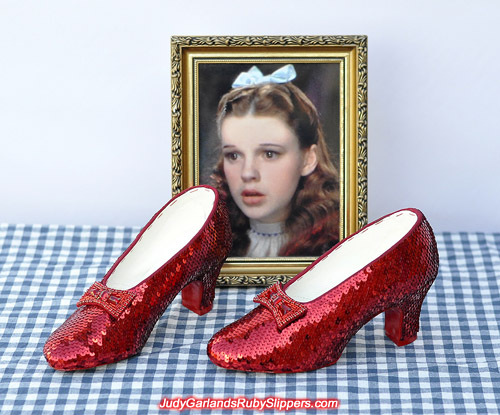 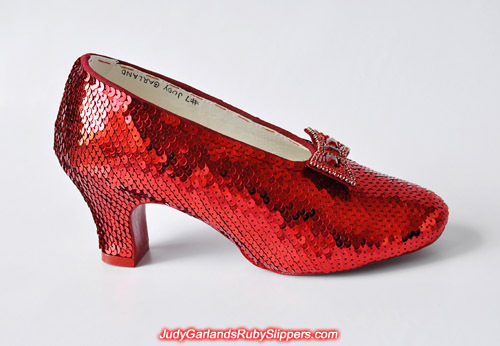 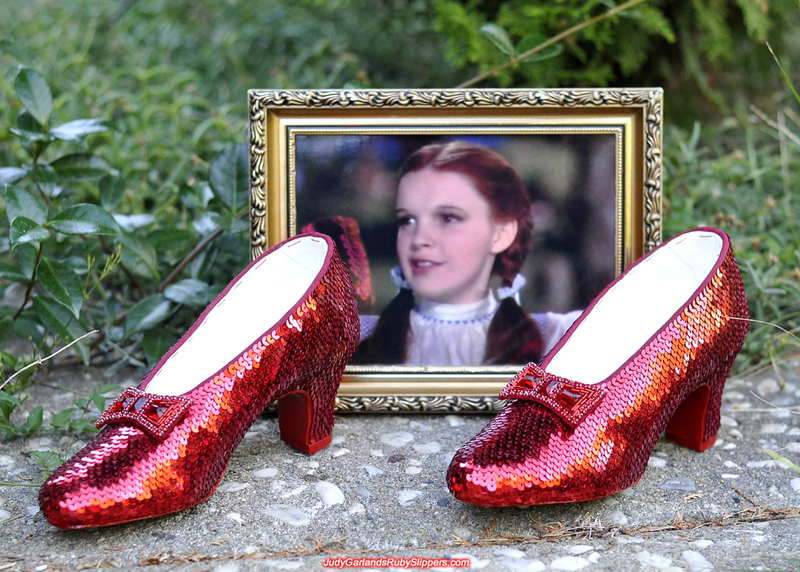 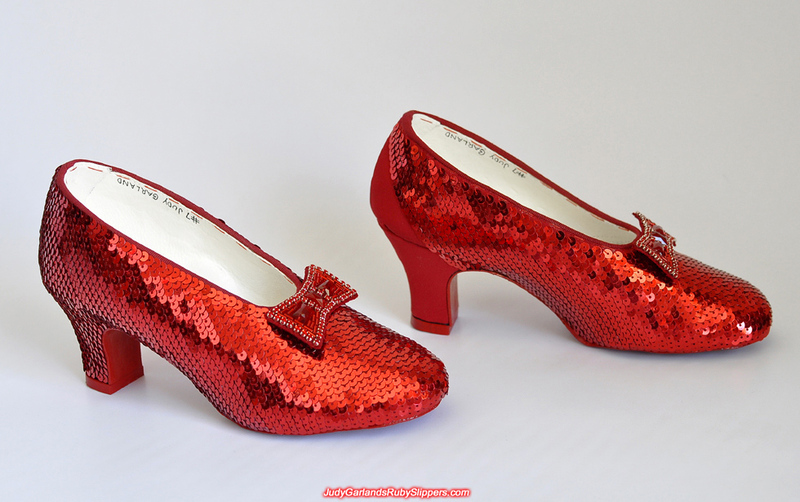 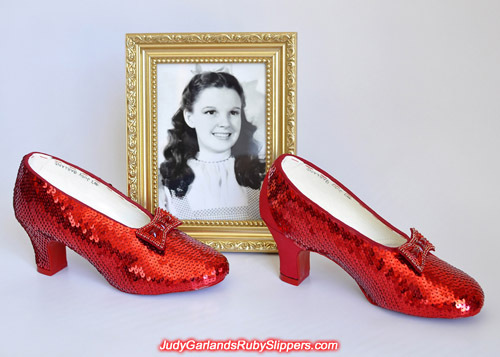 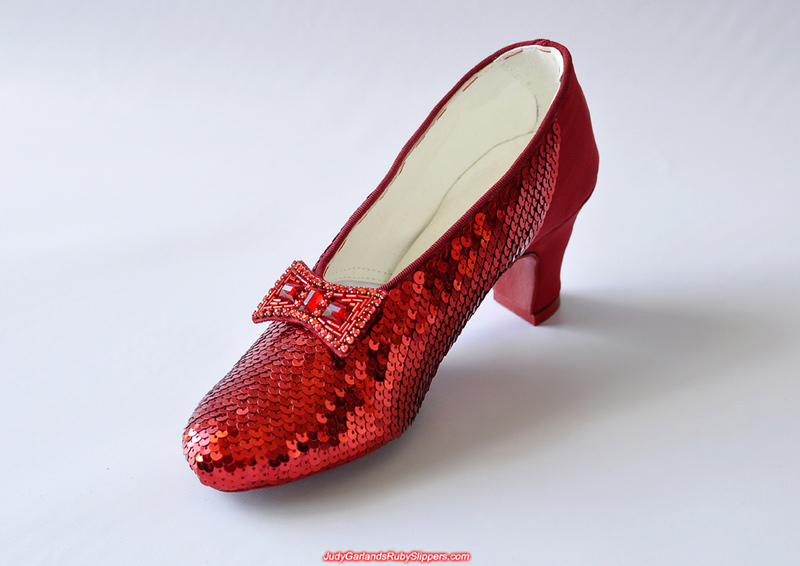 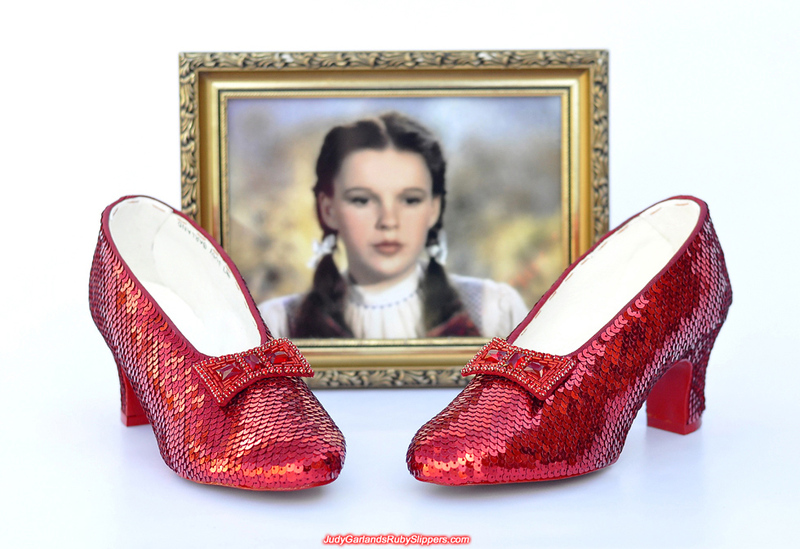 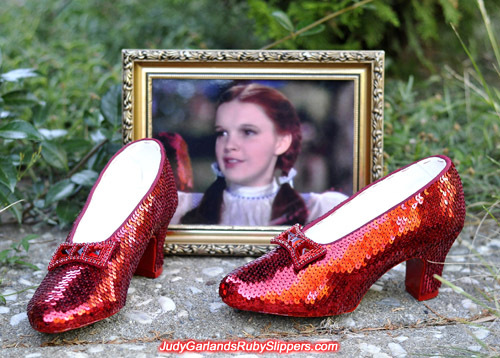 If you're a big Oz and Judy Garland fan then this is the real deal, this is the ruby slippers that would be the perfect addition to your memorabilia collection. This is the right shoe that is about two-thirds finished. 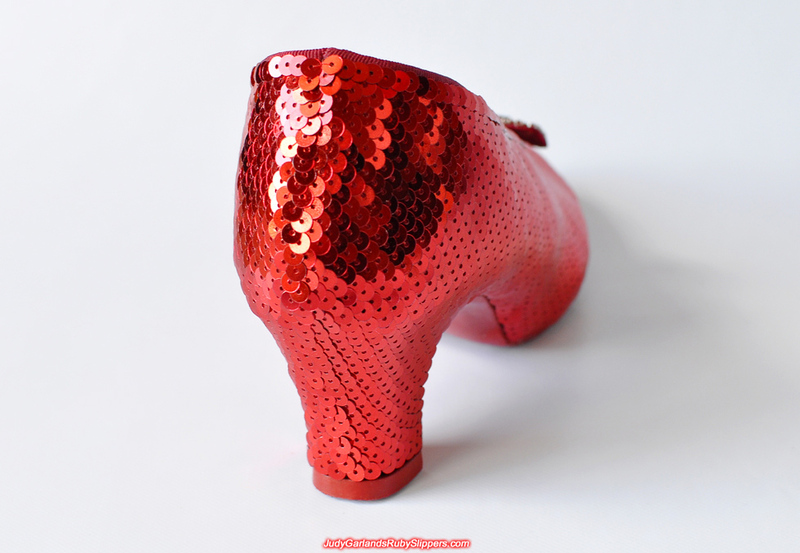 9 hours per day is spent on sewing the sequins so it's incredibly tough going. There's no sewing machine, everything is done by hand and there's possibly 2,500 sequins on each shoe. 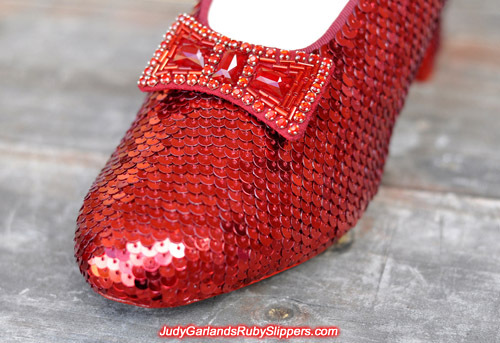 There's a substantial quality difference between a pair of ruby slippers that is hand-sewn, and one that contains pre-strung sequins that uses glue. 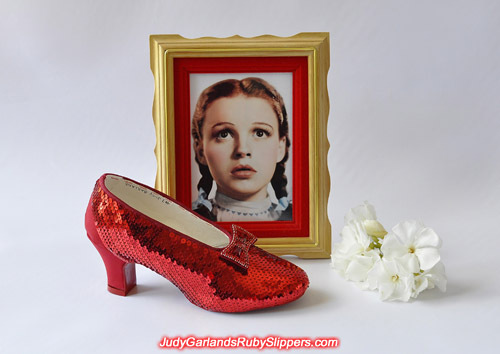 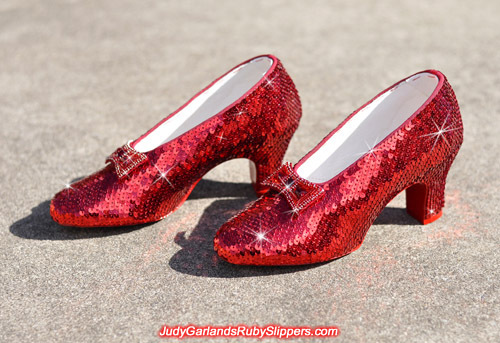 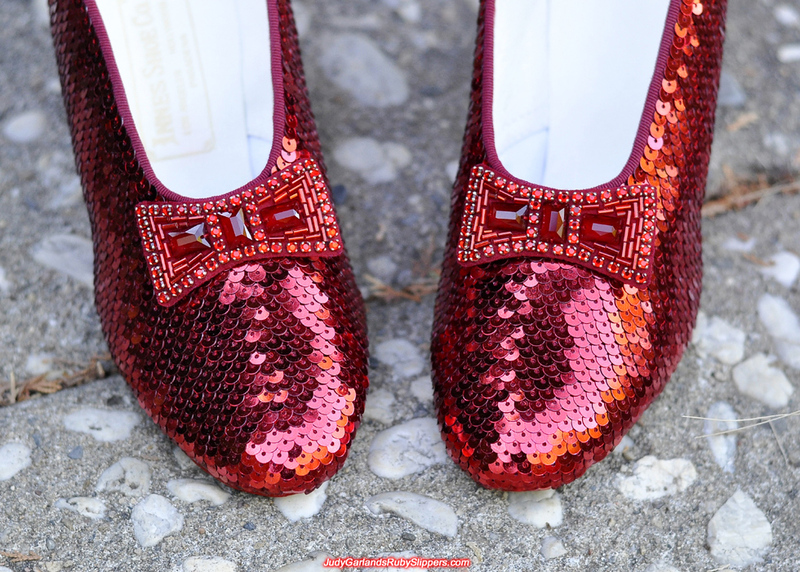 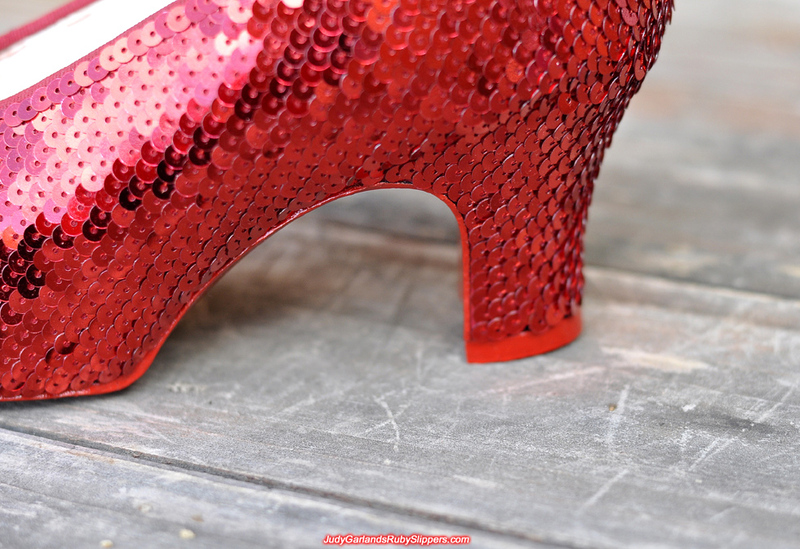 The right shoe is completely sequined and looks in pristine condition, exactly like the ruby slippers in 1939 when Judy Garland as Dorothy wore them on the Yellow Brick Road. 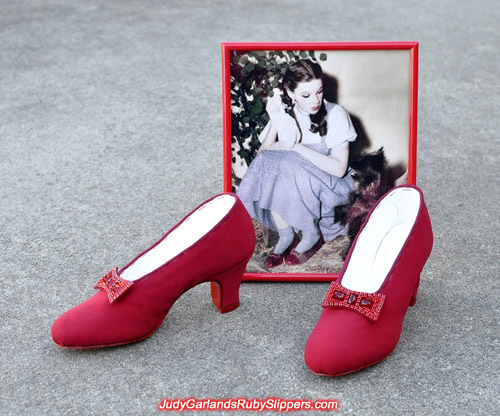 There's still a lot of work with the left shoe. 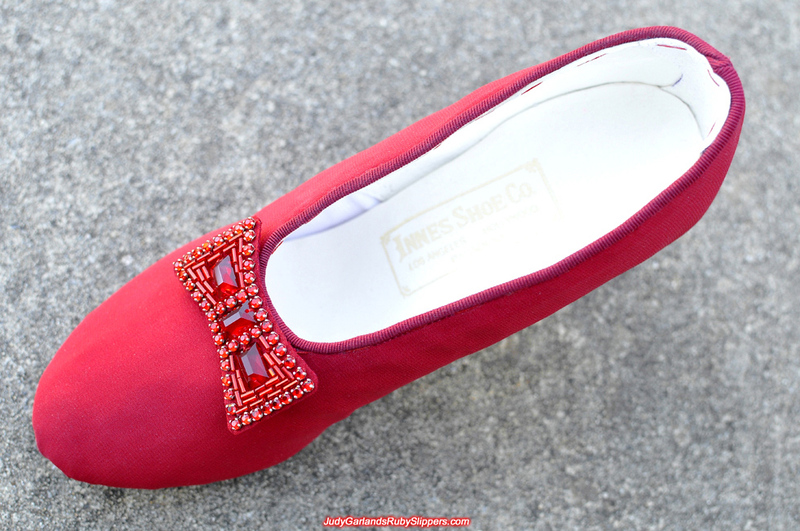 Hand sewing is not easy when working directly on the shoe. 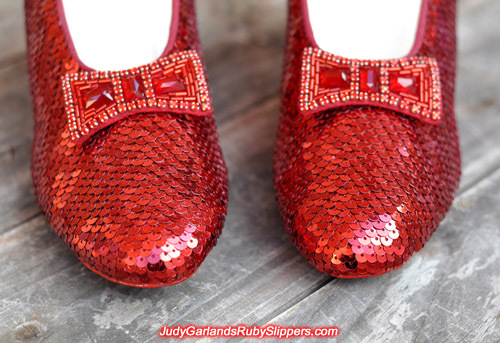 Each sequin is overlapped by the sequin above it, like tiles you see on a roof. 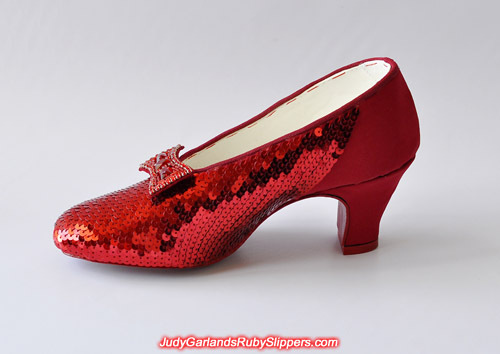 Judy Garland's ruby slippers is looking more and more beautiful as we go along. We are your one-stop shop for high quality ruby slippers. The left shoe should take about a week to sequin if we maintain the 9 to 10 hours per day of sewing time without any interruptions. 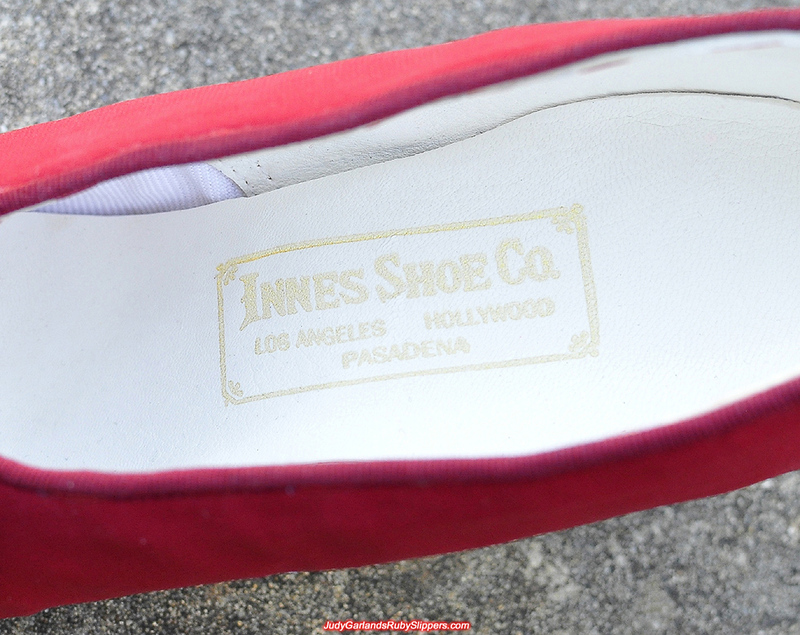 We're pretty pleased with how they're looking so far. 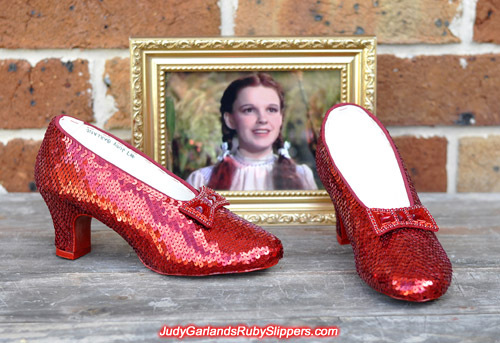 This beautiful pair of Judy Garland's ruby slippers is finished. 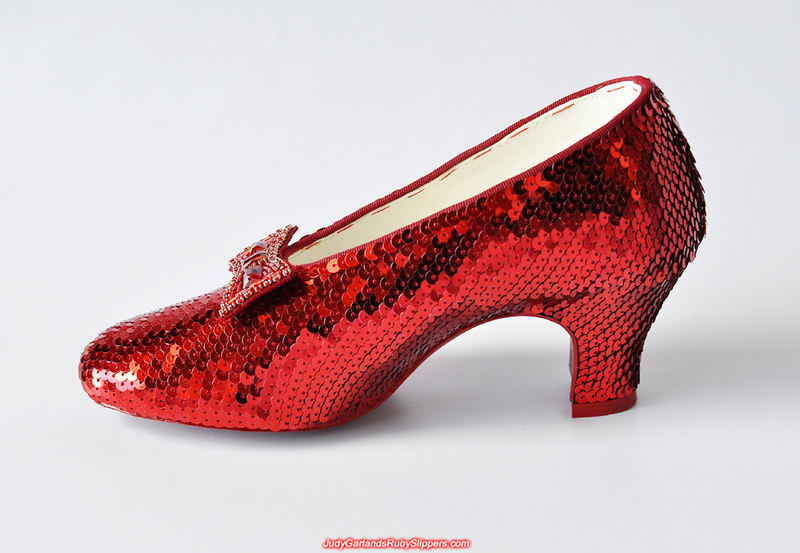 It's good to relax the fingers and eyes a bit, and enjoy and celebrate another successful job. The ruby slippers comes with a few special Dorothy one dollar banknotes and a Dorothy key ring. A customer has already reserved this pair. 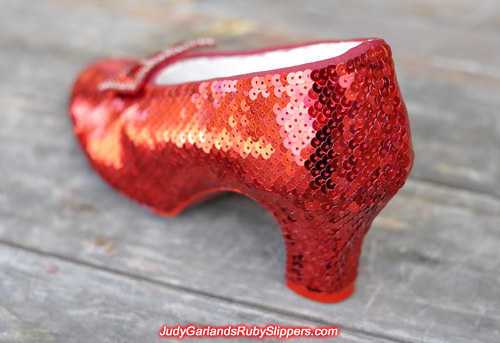 Some photos of this absolutely beautiful pair of ruby slippers that we took during sunrise, so there's some orange tone. You'll also notice that the ruby slippers look darker than the bright red color in previous photos because of the time of day these were taken. 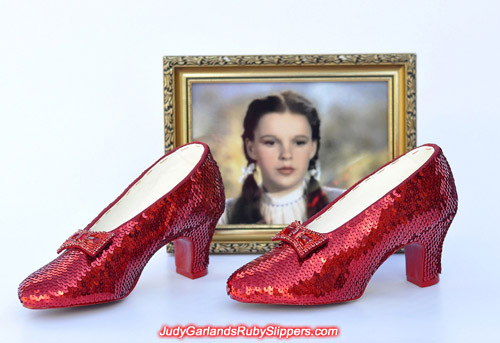 The sequins are actually sparkling red metallic like the originals used by MGM in 1939, but the color can vary from bright red to dark red depending on the amount of lighting reflected off it. That's why the studio used a lot of lighting on the set of The Wizard of Oz, so that we could see the sparkling red ruby slippers. 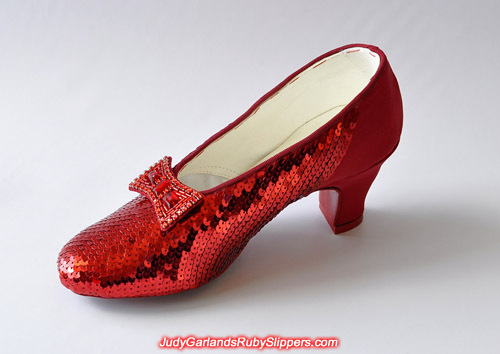 Without enough bright light or lack of sunshine, this is how the ruby slippers appear, more maroonish. 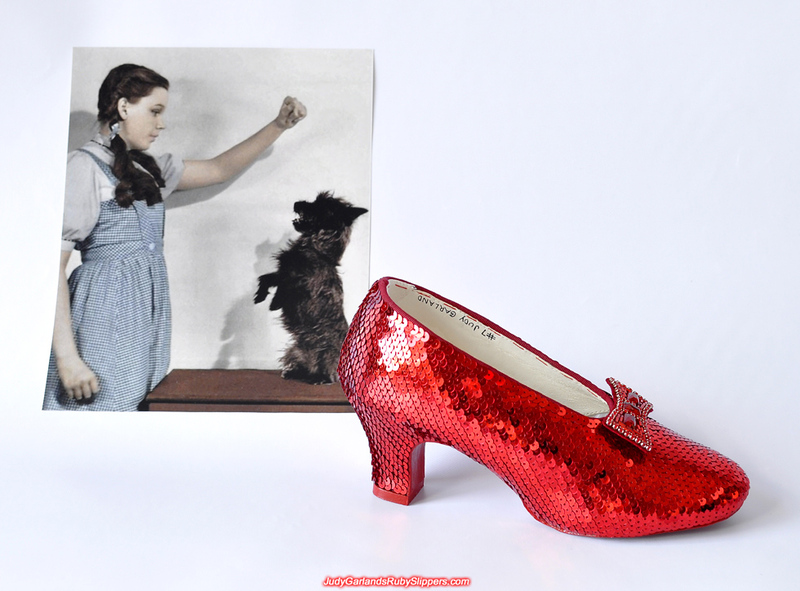 Interesting isn't it? 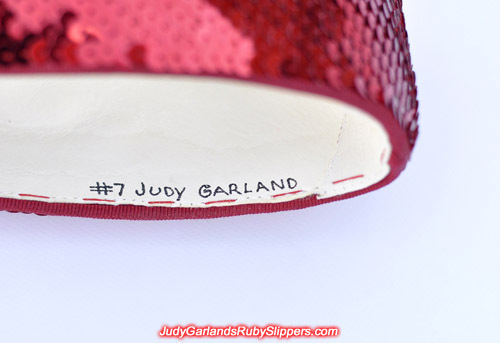 Final photos of this pair of magical ruby slippers made by JudyGarlandsRubySlippers.com and ReplicaRubySlippers.com in honor of Judy Garland's everlasting memory and influence. This dazzling pair of Judy Garland's ruby slippers has been sold. 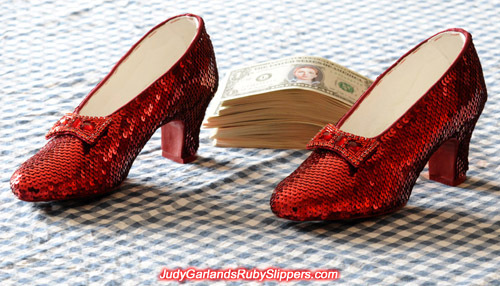 We hope they inspire happiness and prosperity to the new owner.